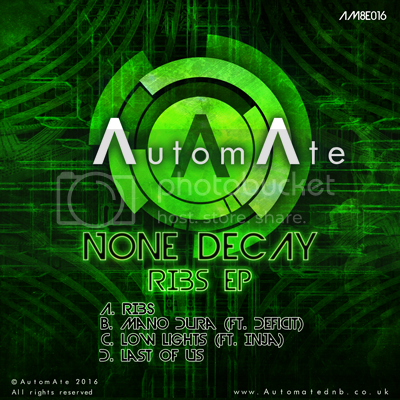 Involved with electronic music since the mid 90s, Cambridge duo None Decay have behind them a rich tapestry of studio and DJ experience in drum & bass, hip-hop and beyond. They made their AutomAte debut on Depth of Vision EP Vol.2. Rising quickly through the ranks, their first full-length artist EP on the imprint garnered attention from high-ranking drum & bass officials such as Goldie & Ulterior Motive. The latest EP covers a lot of ground and has been picked up by a wide ranging list of DJs ranging from Aphrodite to Ink, from Future Prophecies to Dose.